Nick Page (composer, conductor, music educator and song leader) lives and breathes a philosophy of musical and cultural inclusion. Every song he selects for his "Power Singing" workshops bears the hallmark of his approach: energy and power. He teaches the melodies bit by bit to audiences comprised of both avid and reluctant singers of all ages. Before he is done, they are unified in voice and heart, rolling in harmonies, true believers in the power of music to intensify the bonds of the human community. How does he do it? Sing and Shine On! is the guide to Nick's process and philosophy. Using simple, clear and heartfelt language, Nick explains song leading from three perspectives: What is the power of singing? How do we select and teach powerful songs from around the world? Why is it so important to bring people together through song? This is an inspiring, hands-on guide that is also a collection of wonderful songs from several cultures. You will absorb Nick's intense love for group singing and his approach to making it a successful, joyful experience for all. Sing and Shine On! is crammed with practical suggestions to make song leading easier and more effective. It takes the mystery out of why some songs work and some fall flat. Focuses on why singing is powerful, how we can all sing with power, and the links between music and learning. Looks at how to teach songs. 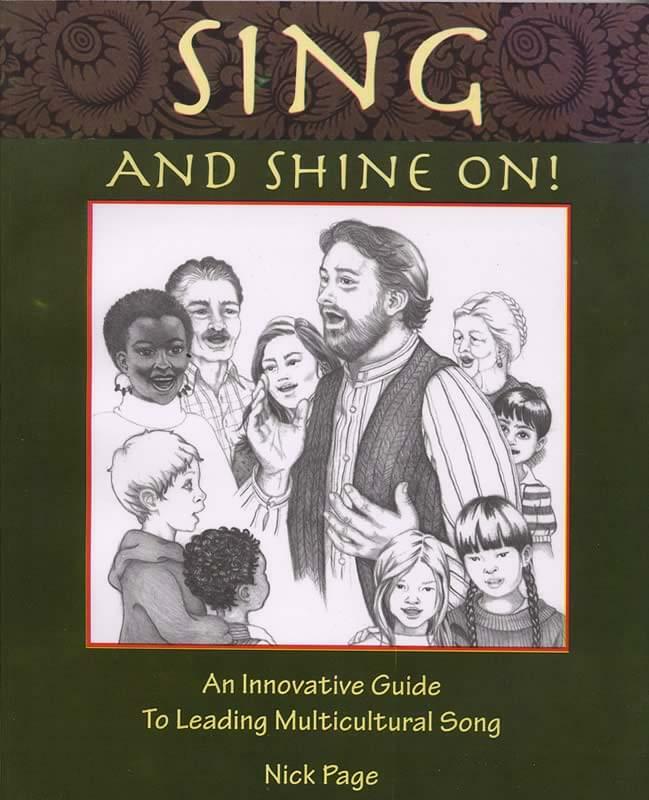 It includes several strategies for finding and teaching powerful songs; working with the power of a song's tradition; making songs more exciting; troubleshooting; and creating the singing celebration. Explores why music is necessary. Nick offers 65 reasons why singing should be central to education and to life. Three appendices feature tools and supplies to help you teach songs, powerful song suggestions with sources and age recommendations and a resource guide and bibliography. Throughout the book you'll find copy-OK musical transcriptions of 20 songs and at the end, you'll find a special section of more songs for group singing. Moving Within The Circle, 2nd Ed.